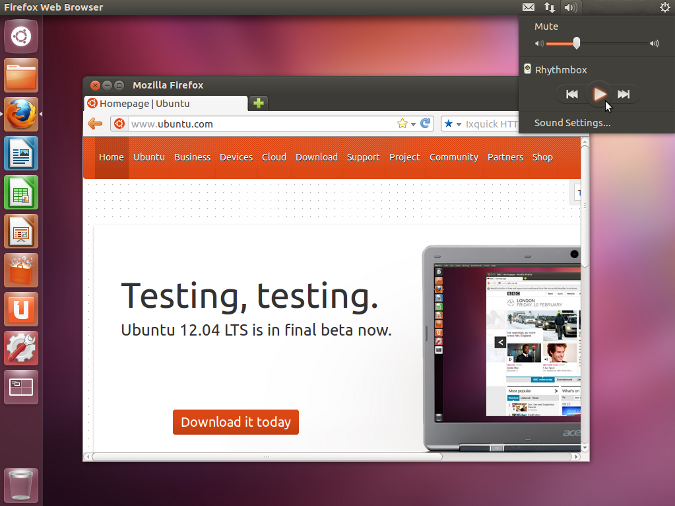 I have been experimenting with Ubuntu 12.04 beta 2 64-bit in VirtualBox 4.1.10, and it runs as good as Ubuntu 12.04 beta 1 64-bit. Whatever refinements have been made must be under-the-hood adjustments since beta 2 looks and behaves the same. It is good to see that the developers are making improvements before the final release. Since beta 2 should be closer to completion than beta 1, I spent more time with it. I so wanted to be friends with Ubuntu 12.04, but some things are just…not…meant…to…be. misbug is an unintended property of a program that turns out to be useful.